Tour film featuring the original band members talking about and showing the clubs they played in their early days. Includes sets from The Shoreline Amphitheatre, San Francisco. Tales From Gypsy Road was originally released on video in 1990 and contains the bands greatest hits. The original band members make this production into an interesting documentary, visiting, and showing the viewer around many of the clubs the band played in their early days with anecdotes and memories from all members. They also describe the locations, trials and traumas of early video shoots and tours. Both videos and live sets from The Shoreline Amphitheatre, San Francisco are featured. 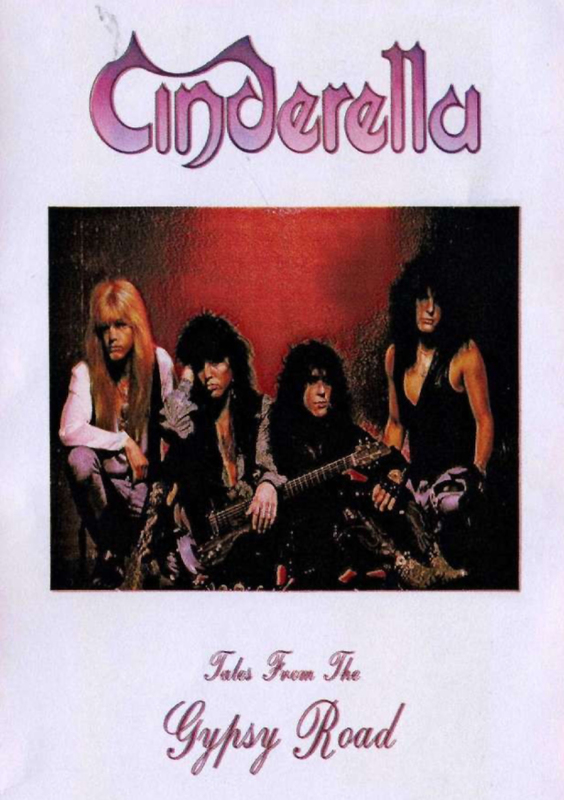 Cinderella was founded in Philadelphia in 1983 by singer/songwriter Tom Keifer and bassist Eric Brittingham, who quickly added lead guitarist Jeff LaBar. Insisting on playing original material, they performed in clubs and bars in Pennsylvania and New Jersey, and in 1985 Jon Bon Jovi caught one of their shows. He was sufficiently impressed to alert his record company, Mercury, which signed the band. Cinderella's first time on DVD! Follow-up album Long Cold Winter also achieved double-platinum success, as the band became huge stars to metal fans around the world.